I operate my FT897 with this program. The package consists out of a CAT part (the heart of the program). 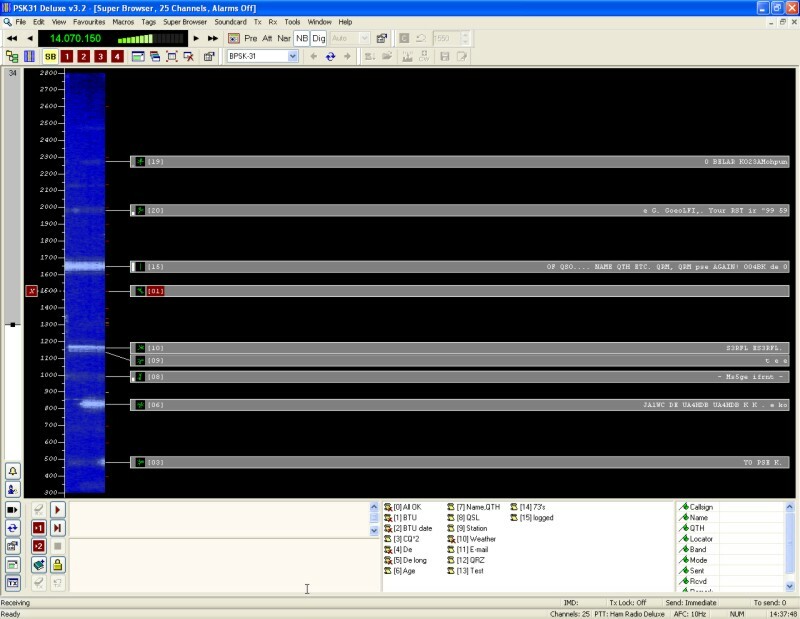 In this module regulates the radio and communicates with other parts of the package like a logbook, dx-cluster etc sect. A lot of the radio's functions can be operated by keyboard or mouse. Witch functions that are supported are depending on the radio connected to the computer. Further more you can adjust the computer screen to the taste of the operator. Within the package you can find a PSK31 module. 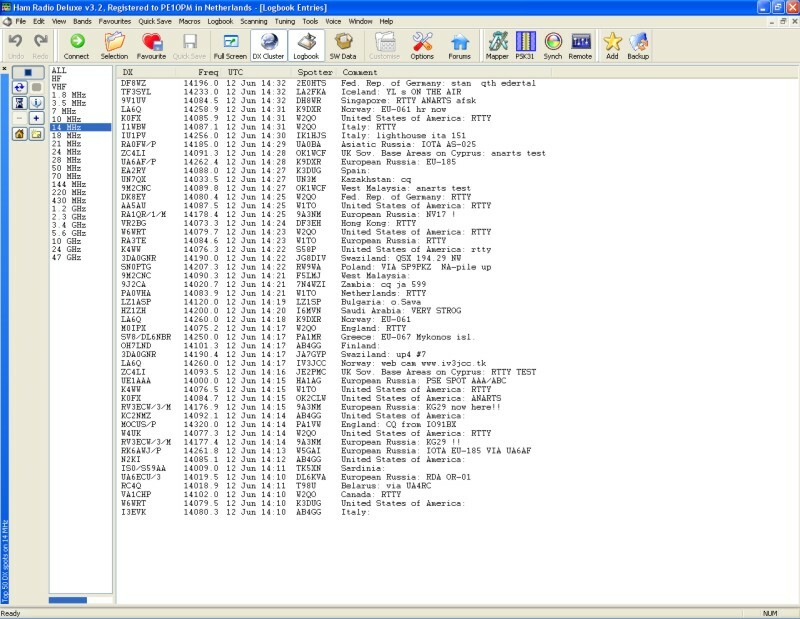 The received data like Call, Name, Place, Maidenhead etc, can be selected in the down part of the window (decoded section) and be copied to the right hand down side (green flags on the picture below) and after ending the conversation be copied into the logbook module, together with the frequency, mode, time which is detected in the CAT module. An other module is the logbook. In this part you can log all your QSO's by using the CAT data. Adding an QSO to the logbook is easily done by clicking on the ADD button (yellow star), which calls up a popup screen with already filled in CAT data like frequency, time, date, mode and can be completed by the operator. Within the logbook you can find a lot of functions like search for stations, DXCC, IOTA, and if QSL is been send or received. 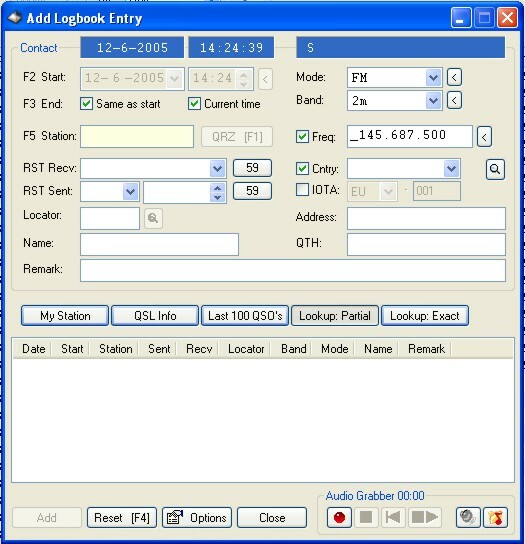 This logbook popup screen can also be filled with information out of the DX cluster module (picture below), just by clicking on the desired station. This causes the radio to go to the given frequency. 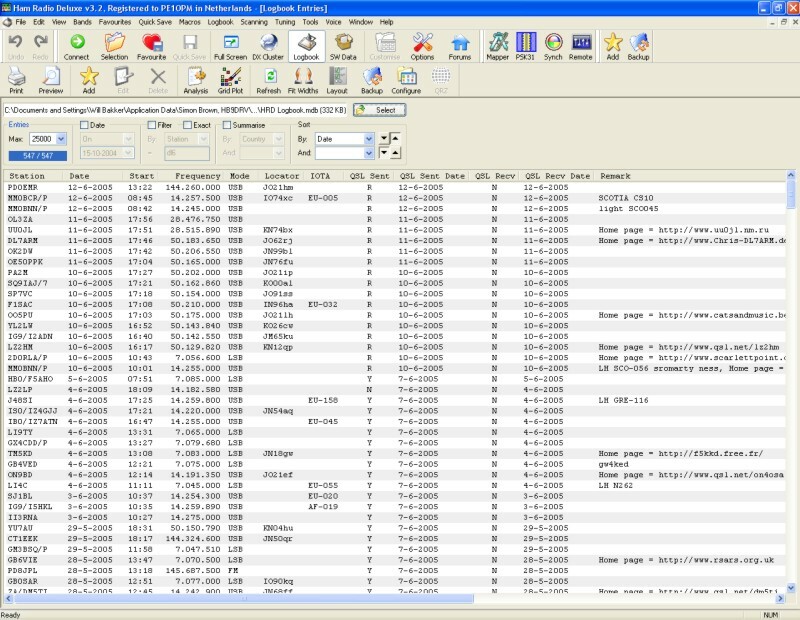 It's also possible to copy information from the on-line QRZ database on the internet into the logbook by clicking on the desired information. From the DX cluster module you can announce your own spots to the DX cluster. All QSO's from the logbook can be made visible in the Mapper module. Here you can see WHERE the stations are on the sizeable map, providing you have noted the maidenhead into the logbook. It is also possible to update a specific homepage (your own) with information about the momentarily used radio frequency and mode through a stream trickered in the tools menu. An example of this future can be found in the home section of this web space. The same technology is used to update an a HamRadio Deluxe user page. U can view this page here. Naturally those futures are optional. In conclusion i would like to mansion that al of this software is FREE to use. You can find all information and download the software at this location. There is also a support forum available. To make use of this you need to be a registered user. To become a registered user is also FREE ! !